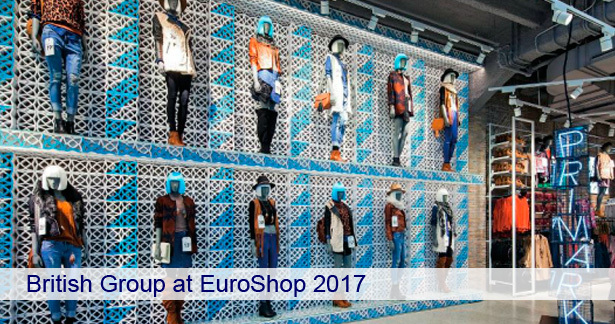 Many UK manufacturers are exhibiting their innovative products as part of the British Group at EuroShop 2017. Below you will find valuable details of their specialities. You are invited to visit them during the show or contact them direct. ADM (UK) Ltd manufacture Cyberquins, male and female running and walking animatronic mannequins. 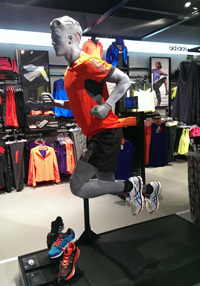 Used globally by major brands to attract maximum attention to their clothing. 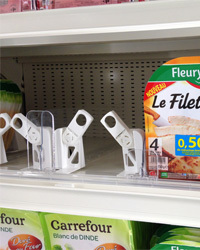 LCD advertising displays for in-store promotions and demonstrations. 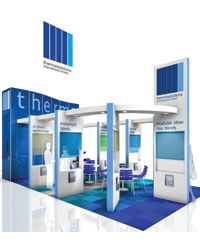 Interactive, custom & budget displays designed in Europe & manufactured in China. 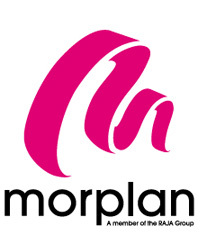 Alplas is an injection moulding manufacturer and distributor of Point of Sale (POS) Accessories. 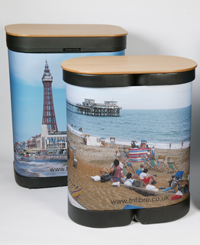 Located just outside London, we design, make and deliver retail solutions for in-store promotional display; it's what we've been doing successfully for nearly 50 years. As a family business, built on great service and maintaining close relationships with our customers and suppliers, we have built a strong global network over the years. We'll be demonstrating our in-house design, prototyping and manufacturing expertise with numerous completely new POS accessory products. Andy Thornton will showcase visual merchandising and display products including industrial-style shelving, drawers, display cabinets, trolleys, garment rails, vintage props and period shop fittings. 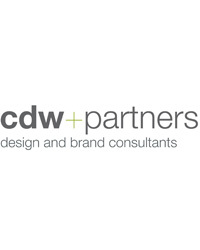 cdw+partners are a strategic design consultancy helping retailers bring their brands to life. 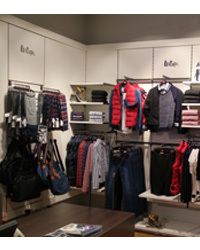 We offer retail strategy, branding, retail communication and store environmental design. Customer engagement is at the heart of everything that we do. Designs in Aluminium was established in 1997 and has now become a global force within the retail and shop fitting industry. We have recently changed our name to DIA Systems Ltd, incorporating our adaptation to the market as it evolves. Starting with only a handful of profiles which were sold within the UK, we now sell to over 20 countries world wide and stock over 120 products. 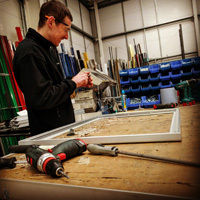 We understand the needs for working within the shop fitting industry and pride ourselves on the service and quality we offer as well as ensuring that the products are delivered to your exact specifications. 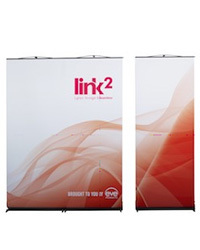 Manufacturers of the TWIST exhibition range, Eve Products Limited show Link the first seamless linking roller banner and their new rechargeable Lumos light tower range. The UK’s number one supplier to the retail industry, with over 5,000 products available including mannequins, display cabinets, clothes rails, coat hangers, tickets and much more. We deliver creativity that helps brands achieve world class status and a practical mindset that ensures realistic solutions are delivered, on time and on budget. 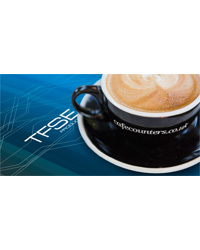 RTC offers an innovative range of merchandising systems such as Profit Pusher® and EcoTrac®, as well as theft deterrence, retail lighting and interactive technology products. 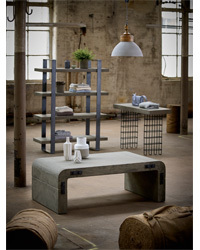 We believe displays should be made to last longer and produce robust and high quality products that you can rely on. Manufacturers of Food Display Equipment specializing in Cafe, Deli and Patisserie equipment. Leading International Manufacturer of Night Blinds for Manual/Motorised/Cassette/Graphic/Security Shutters for Supermarket Chiller Cabinets and Zip Blinds for Cosmetic Cases. From poly cases for graphics to flight cases designed to move whole exhibition displays, our experience in this industry is unrivalled. Our range of pop up cases manufactured on our rotational moulding machine are the benchmark in their field and are used worldwide. We transform ideas into a technical reality, collaborating with retailers and design agencies to create attractive, engaging retail displays & environments that sell products more effectively.